Flip a coin. If heads, tot opponent is now crushed. Flip a coin. 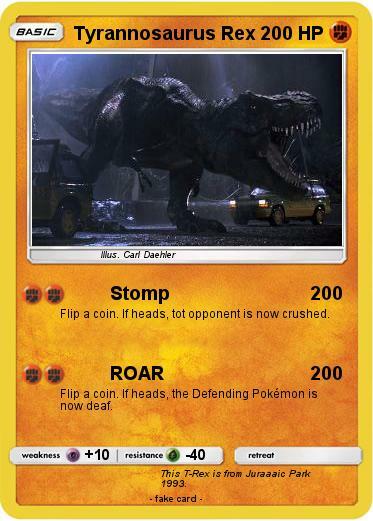 If heads, the Defending Pokémon is now deaf. Comments : This T-Rex is from Juraaaic Park 1993.